This piece is finally complete and has to be one the first paintings of Music Hall that captures the entirely new facade. A few features include newly reopened windows and elaborate painted black bricks that accent the red bricks on the building. Really great work to the teams at Messer, PWWG and 3CDC and the rest of the project team for bringing to life the new face of Music Hall which was such an inspiration to paint. 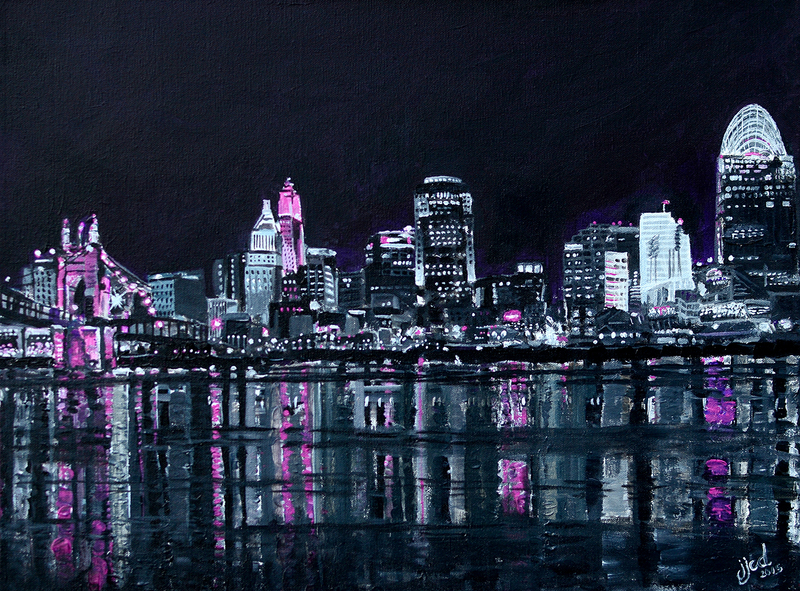 It was an honor for myself and Colin to paint this key icon in the city of Cincinnati since 1876. This is our second painting of Music Hall, click here to see the first which captured the Lumenocity event from a few years back. Here’s a little commissioned painting from back in the Spring. Just realized it was never shared on the site. Here’s the final capture of this deep sea inspired painting titled, 70 Feet Below. 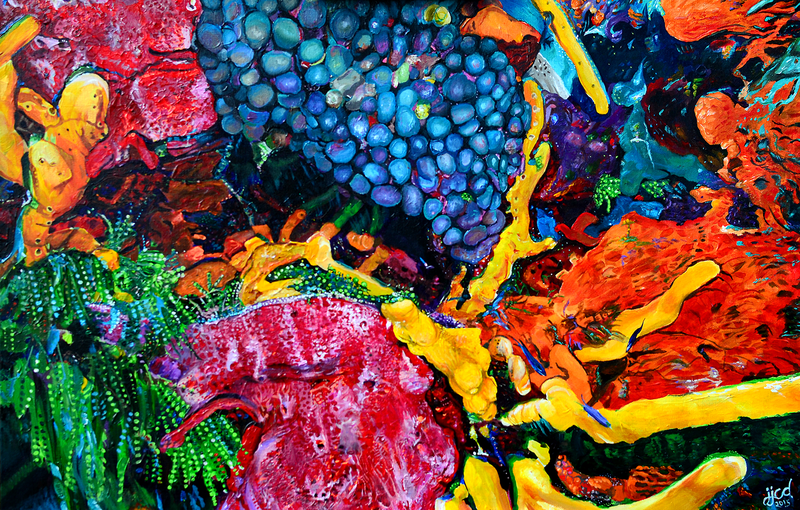 This painting is full of life with bold shapes and vivid colors inspired by Mother Nature.